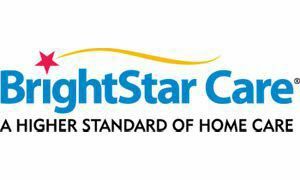 BrightStar is a private duty medical and non-medical home health care agency. We help families live and perform their best while making it possible for them to live independently at home while maintaining their dignity. We offer peace of mind knowing that you or your loved one will receive the type of care that they/you need that allows them to remain in comfort of their own home. The answer to your question is ''Yes, we can!'' After you tell us what you need, we will custom-tailor a service plan and make all of the necessary arrangements. We are here to help our clients and their families live their best. Let us know how we can be of service. At BrightStar, we only utilize company employees, all of whom are bonded, insured, and carefully screened with extensive drug testing and background, criminal, and reference checks. Our employees are experienced and compassionate caregivers dedicated to providing the mental and physical assistance and stimulation that is so important to the well-being of our clients. - Direct Hire And much more ! We are ALWAYS available to you, 24 hours a day, 7 days a week, 365 days a year! Every call is answered by a live member of our full-time staff, and a Registered Nurse is on call to assist both clients and staff in providing safe and professional care. Whenever the time or whatever the need, we stand behind you, ready to provide the highest quality care and support.